Harvest season. Kid-friendly festivals. Halloween. Let the fall fun begin! There’s no better time than autumn to get outdoors and get away whether you have a day, a weekend or a week for fall vacations. The climate is ideal; there is the right ratio of visitors to locals and grandparents can savor their preschoolers without the crowds. In many places, shoulder season prices make a fall getaway a bargain, especially midweek. The U.S. Tour Operators Association highlights great daily deals during Travel Together Month, Sept 1-30. With frequent school and work breaks for the Jewish holidays, Hindu holidays, Columbus Day and Veterans Day, there are plenty of opportunities to take advantage of resort, tour and airfare discounts. So, whether you take a break with the kids or plan a rejuvenating girlfriends’ getaway, need a quick staycation, extend a business trip or just want to slip away with your partner for some “we” time, here are our favorite fall vacations and getaways, researched together with TakingtheKids.com. Fall is hurricane season and as Hurricane Florence has showed, that underscores the importance of travel insurance. Don’t forget that hurricane season will last through November 30, 2018 in the Atlantic and Pacific, and dozens of popular destinations may be impacted. Travel insurance can reimburse your pre-paid, non-refundable expenses if you have to cancel your trip because your airline stops flying for 24 hours due to a natural disaster, or your destination has become uninhabitable. Year round, it can protect your investment if someone gets sick and you have to cancel a trip you’ve paid for, or if you have to come back early. And many policies insure kids free. More information is available at Allianz Travel Insurance. 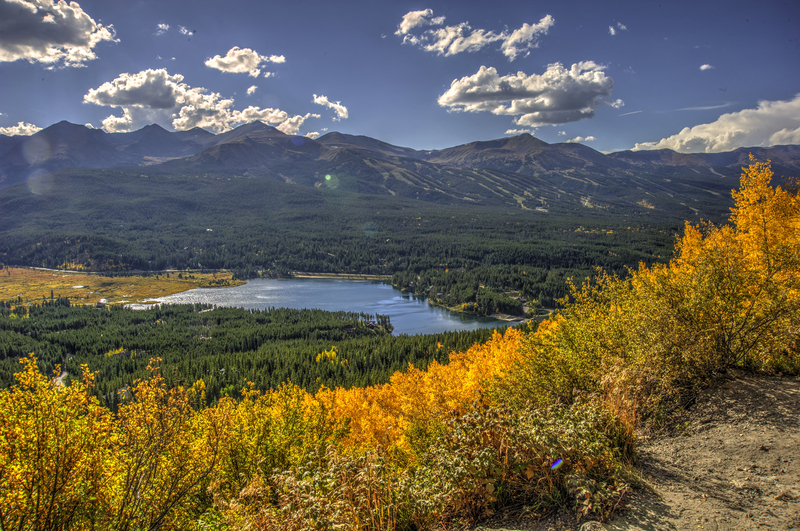 Breckenridge, the historic mountain town and ski resort located about a 90-minute drive from Denver, is one of the first destinations in North America to see changing leaves due to its high elevation. Whether you’re looking for a street party where Munich meets the mountains at Breckenridge Oktoberfest or award-winning films at Breck Film Fest, you can’t go wrong with the crisp weather, stunning fall colors, friendly festivities and the value condo and ski lodging. You’ll find kids are welcome everywhere (and dogs many places), even at the popular . Or, leave the kids behind and come to Breckenridge’s popular Craft Spirits Festival October 19- 21. A tip from locals: Relax and save big time on restaurants with early Happy Hour menus. There are scores of eateries to choose from; read more about the growing food scene. In Germany, Oktoberfest family events mean beer and community dinners where kids are always welcome. This year, Munich’s Oktoberfest (September 22-October 7) is featuring Tuesdays as official Family Days, when all rides and performances cost less. Several American towns with German heritage will celebrate along with them. One of the top destinations is Oktoberfest Zinzinnati (September 21-23) which draws 500,000 Samuel Adams fans to Cincinnati for the Running of the Weiners dachshund races. Crown Center and the Kansas City Bier Company will host KC Oktoberfest, a two-day festival celebrating authentic Bavarian-style bier, food, entertainment but with plenty of d family-friendly activities, October 5-6, 2018, at Crown Center. In addition to the amusement rides and the Chicken N Pickle Games Area, KC Oktoberfest also has an entire area dedicated to children’s activities — all free — with everything from old-fashioned carnival games to pop-up entertainment. 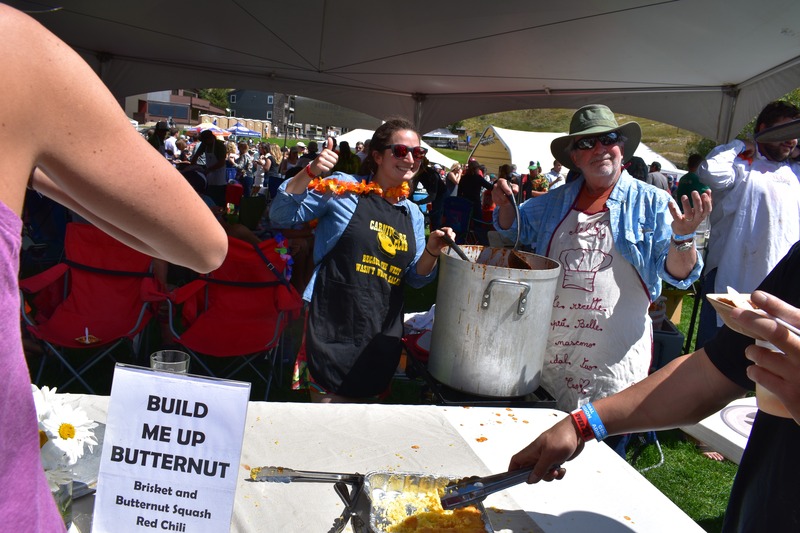 In Mesa, Arizona, join the fun weekends in October at the MESA Pumpkin and Chili Party at Schnepp Farms where you can pick pumpkins, cheer on pigs as they race, go on a hay ride or have s’mores over a campfire. In New York state’s Catskill Mountains, on the grounds of the original Woodstock Festival (now the Museum at Bethel Woods with a great 60s collection), the Bethel Woods Harvest Festival through Columbus Day offers six weeks of themed activities focusing on everything from alpacas to sustainable energy to craft beer with plenty for the kids with corn mazes, hay rides, and face painting. Celebrate Woodstock’s 50th anniversary in summer 2019 with great fanfare. At California’s Cambria Scarecrow Festival, hundreds of creative scarecrows designed by townies are on display from October 1-31. It’s quite a spectacle: papier mache scarecrow bikers mount their wheels, the scarecrow nuns put on their habits, and the horror scarecrows are hidden away. We love the annual National Apple Harvest Festival in Arendtsville, Pennsylvania, held during the first two weekends in October. Gettysburg, a great history destination for all ages, is just a few miles away and it’s less than two hours by car from Harrisburg, Washington D.C. or Baltimore. You get two chances to celebrate all things cranberry at Cranfest in Warren, Wisconsin (September 28-30) and at the 15th annual Cranberry Harvest Celebration in Wareham, Massachusetts (October 6-7) where you can take a tour of a cranberry bog. Fleet Week (October 3-9) in Baltimore hosts both an air and boat show with more than 2,500 sailors and a dozen naval ships. Baltimore has been a been a major U.S. seaport since the 1700s. Kids will love the hands-on activities and more at Historic Ships when they tour four interactive vessels. Outside Rochester, New York at the Genesee Country Village & Museum , one of the largest living history museums in the country, time travel back to a 19th century rural village at the Fall Festival and Agriculture Fair the weekend of October 6 complete with magic show, corn shelling and cider pressing. (Kids are free up to age 17.) Back in town at the Strong Museum of Play, take a trip down memory lane as you peruse their huge collection of toys—everything from board games to Barbies and G.I. Joes to Erector Sets—while the kids play in the interactive zones. Check out more naval history in Annapolis, site of the U.S. Naval Academy (the museum has the largest collection of model ships in the world) and sadly, final resting place of Senator John McCain. It’s also home to the Maryland Renaissance Festival, running weekends through October 21, a whimsical version of the renfests your parents took you to. Imagine crab cakes and spinach pie with turkey legs, festive attire and rental costumes, stilt walkers and jousters. Everyone loves to see the leaves change on fall vacations and New England is a popular destination for leaf peeking. (If you’re going, go midweek and look for lesser known scenic roads to avoid traffic.) You do have other options though; here is a list of the most beautiful spots around the world to see fall foliage. Fall is a terrific time to visit a mountain town such as Aspen or Snowmass, as the leaves are changing. 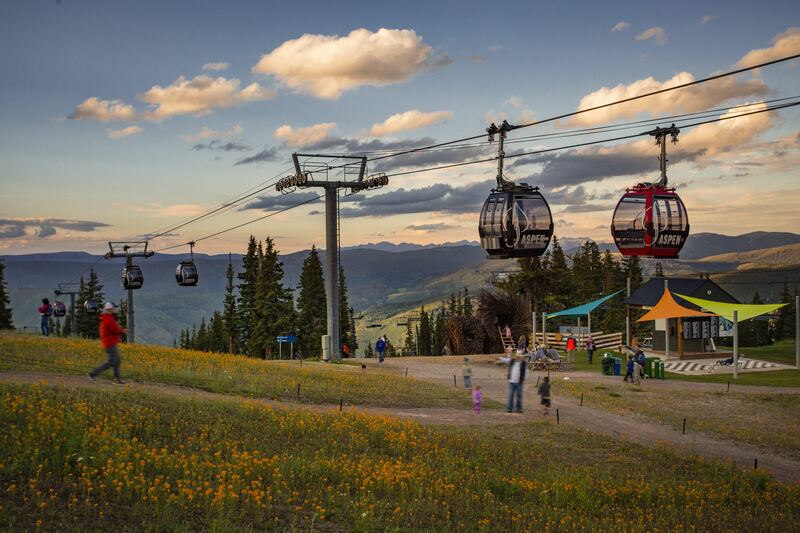 In Aspen, taking the Silver Queen gondola up Aspen Mountain not only provides a world-class view of the fall foliage, but you can grab a bite at the Sundeck restaurant, play a round of Disc Golf, or take in the stunning views at 12,000 feet. Another wonderful place to check out the autumn tones is at the much-photographed Maroon Bells. For the best experience we recommend taking the bus on a weekday, packing a picnic and blanket, and most importantly — your camera. Biking along the Rio Grande Trail follows the Roaring Fork River which is surrounded by fall trees and small waterfalls. A bonus is riding to the Woody Creek Tavern where you can enjoy delicious Mexican fare in this top watering hole. Don’t forget to visit the Aspen Center for Environmental Science, and don’t miss the harvest bounty at Aspen Saturday Market, a local’s favorite tradition. The Aspen Center for Environmental Studies helps thousands of local kids and visitors to get engaged outdoors every year. Here’s how you can do it too with your kids. Stay closer to home in September, the time to go apple picking and bring home a few bushels so the kids can practice their healthy eating and invent new recipes. Hop on a hayride to search for just the right pumpkin in mid-October. It is easy to find a u-pick farm with a directory of orchards and pumpkin patches near you, and usually pretty cheap to make it an overnight adventure for satisfying fall vacations and getaways. Try all varieties of apples while you show the kids what local, seasonal produce looks like in Beloit, Wisconsin at the state’s second largest farmer’s market, drawing thousands every Saturday to the college town just over an hour from Milwaukee. There are more than 100 vendors. Go apple picking at local favorite Apple Hut Orchard where visitors line up for their cider donuts. Becker Farms outside Niagara Falls USA is also famous for their cider donuts, U-Pick apples and other fruits when they are in season as well as their fruit pies, jans, brews and beer. In Oklahoma City, until end of October, visit Pumpkinville at the Myriad Botanical Gardens where over 16,000 pumpkins will be on display and where kids can decorate pumpkins, drive on a mini train through the pumpkin fields, go on a hayride and more. Alternatively, celebrate the harvest season at one of the many farms around the country and teach the kids where their food comes from. Visit “learning farms” like the Billings Farm and Museum or Shelburne Farms in Vermont, the Stone Barns Center in New York and Los Poblanos Historic Inn and Organic Farm in Albuquerque, New Mexico. Check out Farm Stay U.S. for more information. Halloween has morphed into one of the year’s biggest holidays, with families traveling near and far to experience haunted houses, spooky festivals and gruesome gourmet delights. Most zoos and aquariums now have Halloween events, and most theme parks reopen for them. The 18 Six Flags parks, for example, put on a Fright Fest like no other under the motto “Family by Day, Fright by Night!” During the day, come in costume for the Spooky Kooky Magic Show and the Monster Maze. After dark, send your bravest teens to FrightFest to conquer the ghoulish scare zones, come face-to-face with blood-thirsty creatures, wander through haunted mazes and ride the Voodoo Drop. Fright Fest opens in mid-September in many parks and runs weekends through October 31. The queen of West Coast horror is the historic Queen Mary, a luxury cruise ship moored permanently in Long Beach. Already popular for its stateroom overnights, this vessel of rumors runs haunted ship tours, a “Ghosts & Legends” tour and other paranormal themed events all year. Nothing compares, however, to the annual “Dark Harbor: Fear Lives Here” special nights taking place from September 27-November 2, 2018; separate ticket required. Legoland California, home to two themed family hotels in Carlsbad, is the place for younger Halloween lovers with fireworks, new entertainment, Lego build activities and more. All of it is included with a park ticket during Brick-or-Treat Party Nights, weekends in October. If you’re in the east, check out the Halloween action at the sister park in Florida. SeaWorld’s Spooktacular, in San Diego September 22-October 28, and starting a week later in San Antonio, Texas, provides special Halloween shows and the chance for younger kids to strut their stuff. They can show off their costumes while dancing with life-sized, but not-too-scary, sea creatures. It’s all in the regular admission price and runs weekend nights, with a similar program at the Orlando park September 22-October 28. Howl-O-Scream transforms two Busch Gardens theme parks –- in Tampa Bay from September 21–October 28 and Williamsburg, Virginia even longer, plus SeaWorld San Antonio -— into the ultimate fright adult zone (not suitable for children under 13). There are spooky haunted houses, terrifying scare zones and elaborate themed shows. During the day, the parks host an array of costumed events and family-friendly fare for younger kids. 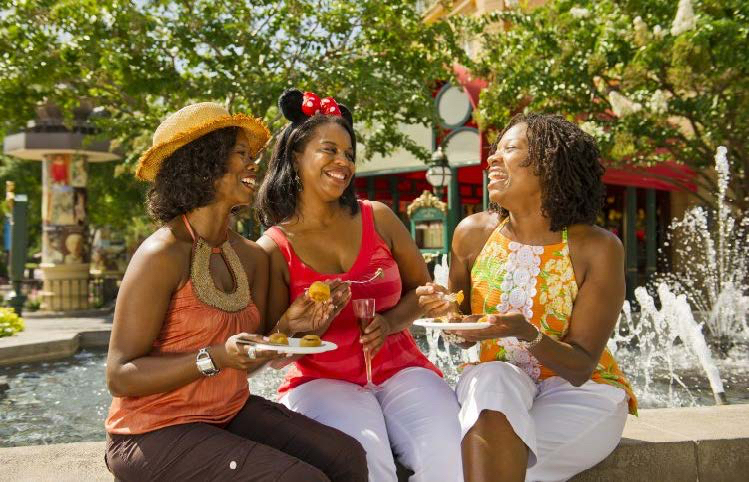 Take advantage of Epcot’s International Food & Wine Festival, a fall vacations favorite, for some adult time with friends. Photo c. Walt Disney World. The so-called “world’s largest Halloween party” takes place at the Louisville Zoological Gardens October 4-28, 2018. This popular toddler-safe fundraiser provides support for the zoo’s animal care programs, botanical garden, visitor experiences, and conservation education. Families with older kids can make free advance reservations online to see the beautiful New York State Capitol on a Capitol Hauntings Tour and meet the ghost of Samuel Abbott, the night watchman who died there in a 1911 fire. This tour is immortalized with its own Listen with the Lights On podcast. Jack-o-Lantern Blaze is a beloved ritual for New York Metro area residents looking for fall vacations because 7,000 hand-carved pumpkins are lit up and clustered by theme (look out for the owls) around the grounds of Van Cortlandt Manor. A fun fund-raiser for Historic Hudson Valley, the music plays and the Blaze lights up from September 28-November 24, 2018 this fall. There is no greater Halloween action than at theme parks, whether you are 4 or 14 or 40 for fall vacations and getaway fun. 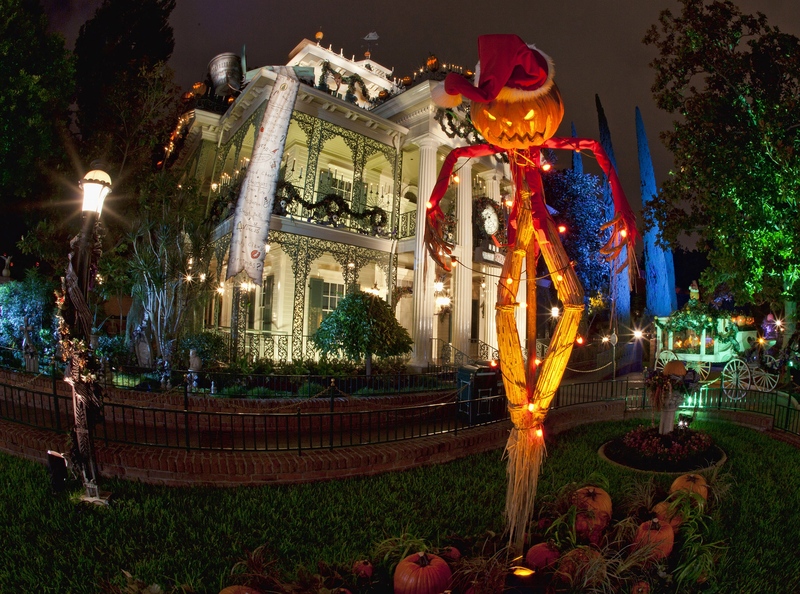 Attend Disney World’s immensely popular Mickey’s Not-So-Scary Halloween Party on select nights through October 31. This year, the Mad Tea Party will take guests for a colorful ride as new lighting and effects make guests’ costumes change color. Major rides such as Pirates of the Caribbean and Space Mountain will be transformed for the holiday. Also new this year, Storybook Circus welcomes the Storybook Circus Disney Junior Jam, a dance party featuring some of your favorite Disney Junior Characters, including Doc McStuffins. Surprise! The ever popular food and wine festival at Epcot in Orlando is now in its 23rd year. Feast on more than 30 global food and beverage marketplaces, 32 musical acts by big name performers, plus a Sunday Brunch with the Chef series, demonstrations by celebrity chefs from “The Chew,“ “The Taste,“ “Hell’s Kitchen” and other events through November 12, 2018. Check out the Disney Dining Plan options as some programs require separate tickets. Universal Studios’ Halloween Horror Nights will begin on September 14 in Orlando and Hollywood and last until November 3 for frightfully fun fall vacations. The masters of cinematic special effects use both theme parks to house bloodthirsty beasts, entertain haunted souls in a variety of themed mazes and allow guests into super-scary haunted houses. They do not recommend these events to anyone under 13; advance ticketing required. Once kids go back to school, we can all feel the buzz in the air of America’s great cities. If you are into culture and cuisine, or if you are planning campus visits with college-bound teens, city escape should be on your autumn to-do list. A family visit to St. Louis, Missouri is not complete without a visit to The Gateway Arch, which celebrates the country’s westward expansion and the pioneers who made the treacherous journey. Created with more than 43,000 tons of concrete and steel, and 63 stories tall, it is America’s tallest manmade monument. There is a new interactive museum that tells the story of Native Americans, explorers and pioneers. As Gateway Arch is part of Gateway Arch National Park, there are free talks and tours by National Park Service rangers. Seattle’s Space Needle, a landmark observatory and icon of the Northwest, has been transformed for the first time in 50 years. Take a selfie on The Loupe, the world’s first and only rotating glass floor that offers never-before-seen views of the Space Needle’s architecture. Three viewing areas, including an open-air one at a height of 520 feet, are part of the $100 million renovation. Download the Space Needle App to best explore everything at the revitalized attraction or the 360° app loaded with VR games. If your kids are studying American history, there’s no better city to explore than Boston where you can literally walk in the footsteps of the Revolutionary War Patriots on the Freedom Trail, re-enact the Boston Tea Party at the Boston Tea Party Ships & Museum or tour the oldest warship afloat—the USS Constitution. Visit Harvard, the oldest college in the country and the Boston Children’s Museum. While big cities offer plenty, sometimes smaller ones are just the ticket for a long weekend, including interesting and innovative museums. In Mississippi’s Delta region, the new GRAMMY Museum hosts award-winning artists and nominees who hold workshops for kids and adults. The museum is on the Blues Trail Highway (Highway 61) about 115 miles from Memphis. A Niagara Falls adventure has been transformed into a more enriching experience that explores the rivalry between Thomas Edison and Nikola Tesla over the future of electricity. A film about the pro-environment “Free Niagara” movement that saved the region from industrical pollution greet visitors at the famed Maid of the Mist viewing experience. The Niagara Falls Underground Railroad Heritage Center explores the critical role that Niagara Falls, just ¼ mile across the river from free Canada, played in helping freedom seekers like Harriet Tubman. The small museum is not much bigger than the barns with false floors and homes with hidden doors that sheltered so many along the Underground Railroad. Yet every inch of space recounts a firsthand adventure or displays an old photo or artifact that will engage schoolage kids for a few hours. The Laura Plantation outside New Orleans focuses on Creole heritage and the complex relationships of four generations of women who lived there — free and enslaved. Explore your own family roots at the nation’s largest public genealogy center in the Fort Wayne, Indiana Public Library with the help of expert genealogists – at no charge. Ready to hit the town? The college town, that is. Leave the other kids in the family behind and opt for some one-on-one time with your high school junior or senior. Don’t try to cram too many schools into one visit -— and certainly no more than two a day. Ask your teen to keep notes or shoot some video on their phone; otherwise, they all start to look the same! Be sure to mix some local sightseeing in with an admissions office visit so the whole family can get a sense of what’s outside the classroom. Looking at Indiana University? Visit one of the two Tibetan Monasteries in Bloomington, Indiana, for a meditation session, overnight stay in authentic Tibetan yurts, or evening chanting at the Tibetan Mongolian Buddhist Cultural Center. Also visit Gaden Khachoe Shing Monastery, and eat authentic Tibetan food at Little Tibet. In Lawrence Kansas home of KU, take in a college basketball game at the place where modern basketball was founded. You can even see a display of the original rules of the game in their museum! In College Station, Texas, home of Texas A&M University, take in a football game or visit the George H.W. Bush Library and Museum where Barbara Bush is buried. Stay in the Cavalry Court where dining is like eating in a bunker and you sleep in retro military-designed rooms. Or, join the stargazers from the A&M astronomy department at The Stella Hotel. Northampton, Massachusetts is home to Smith College and the Five College Consortium (Mt. Holyoke, University of Massachusetts, Amherst and Hampshire Colleges). In this tranquil corner of the Pioneer Valley where maple and oak line the shores of the Connecticut River, there is great hiking and canoeing when you are done with the campus tours. UMass housing is one of the best values around and their hotel serves as a training site for students. Gallup is your real true New Mexico destination for family adventures. There is hiking, biking and flying over the red rocks in a hot air balloon, or cultural explorations of the rich history of Native American Navajo and Zuni tribes within a 50-mile radius. In Gallup, families can experience authentic Native American dances, during which the whole family can jump in. Explore the work of over 1,000 native artists on display (and often demonstrated) throughout the community, especially at the Saturday Flea Market where Native turquoise and silver jewelry can be up to 20 percent less than in shops. Bring cash and bargain. 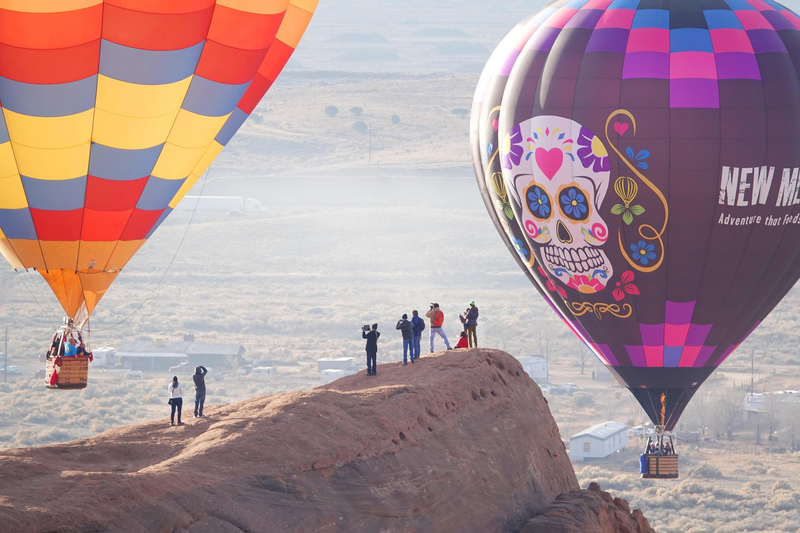 Gallup is a great destination for immersing your family in fun walking tours of downtown’s murals and painted cans project, unique roadside attractions on Route 66, and food that is a fusion between Mexican, Native American and more. All 417 National Park Service sites will have free entrance on the 25th annual National Public Lands Day, September 22. Outdoor enthusiasts turn out in droves to give back to and enjoy their favorite outdoor places. Volunteers receive a voucher that allows them to enter a national park free on another day. The popular Every Kid in a Park initiative gives all fourth graders and their family’s free access to all national parks. Why not use it to explore a park or monument you’ve always wanted to see and lesser known ones that may be in your neck of the woods? Skip the expense and aggravation of flying to meet your cruise ship. It’s easier than ever to drive to a port for fall vacations this year. Carnival Cruise Line, which carries more children on its ships than any other cruise line, now has 18 year round and seasonal ports—the most in the industry — along the East and West Coasts and the Gulf of Mexico. Carnival is using a blimp airship to raise awareness of the new homeport advantage campaign. 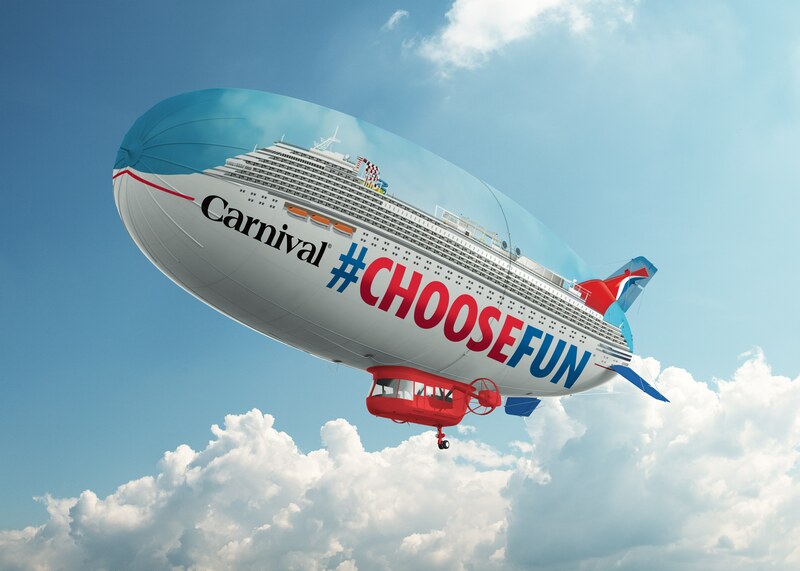 You’ll get a chance to win free cruises and more when you take a picture or video of the airship and post it on Facebook, Instagram, or Twitter with the hashtag #ChooseFun, plus help contribute to St. Jude Childrens Research Hospital, Carnival’s longtime charitable partner. Four Carnival ships will be arriving at new homeports in September, giving families within driving distance of Miami, Galveston and Port Canaveral several new Caribbean itineraries to choose from for a fall cruise. The ships feature Carnival’s latest amenities such as a Dr. Seuss water park, SkyRide aerial bicycles, interactive Thrill Theater and luxurious spas. Check out our family cruise guide for other fall cruise options. For that sunny tropical flavor, nothing beats the Caribbean where you will find cheaper flights, top resort values and autumn music festivals. October and November have busy event calendars featuring Pirates Week in the Cayman Islands and the Conch Cracking Festival in the Bahamas. Stay current on restoration efforts on the islands that underwent hurricane damage during last year’s storms, before planning a trip. Celebrate October with Kids Free San Diego and save with 100 + partner deals all month long. Your little ones will get free admission at attractions, meals on the house and other fantastic benefits. In addition, several hotels – including some beachfront resorts — will feature “kid free” offers for fall vacations. Virginia Beach celebrates the 45th Neptune Festival September 28-30, along 32 blocks of boardwalk, ideal for early fall vacations and getaways. The event features music, seafood treats, games, sand sculptures and an Art & Craft Show. Mexico, of course, is known for its beautiful beaches, which cool down just in time for fall vacations. The Puerto Vallarta and Riviera Nayarit region on the Pacific Coast host a fun Pee Wee Surf League for ages 4-12 that competes in different beach towns each weekend in October. Fall is the time for an immersion in a different culture with a vibrant arts, music and food scene. The 10th annual Vallarta-Nayarit Gatronomica October 14-18 takes place throughout the region with workshops, tastings, lectures, pairings and special dinners. From November 1-2, Dias De Los Muertos honors deceased family members with parades, and other celebrations. Google searched for the top hiking trails and trending campgrounds for autumn adventurers. Chart courtesy Google. If you thought you couldn’t travel because someone in your family has special needs, think again. Several recreational groups design different outdoor programs for children with special challenges and their families. Summer programs such as kayaking and hiking continue through fall and, thanks to the work of so many volunteers, fees are usually on a sliding scale to accommodate a family’s budget. 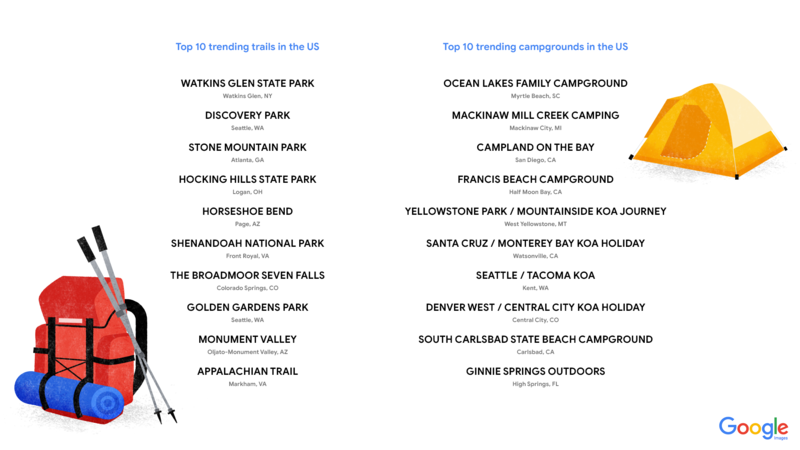 Since 2018 is the 50th anniversary of the National Trails System, the creatives at Google Images and Google Maps examined the search data on popular wildlife, bugs, campgrounds and hikes across the U.S. They are sharing this chart of the 10 most popular camping and hiking spots. Many are at least partially accessible to those with mobility challenges and make a fun day’s outing for fall vacations. In historic Janesville, Wisconsin, the Camden Playground in Palmer Park is a fully accessible fun land with a wading pool set among 164 acres of trails. Everyone in the family will like this cute town’s free, wheelchair accessible weekend Historic Walking Tours which morph into eerie Cemetery Tours in October. Autism on the Seas helps arrange vacations on land and sea for families with Autism, Asperger’s Syndrome and other developmental disabilities. Most of the major theme parks make accommodations for those with disabilities. In addition, if you are coping with dietary needs or food allergies, Family Travel Forum’s guide to Dining at Theme Parks shows you allergen-free alternatives. The harvest season reminds us to share our bounty with those less fortunate, and #nokidhungry is a cause kids can relate to. There is no better time than now to plan how your family can incorporate social good into your next travel adventure, and it is easy to do. 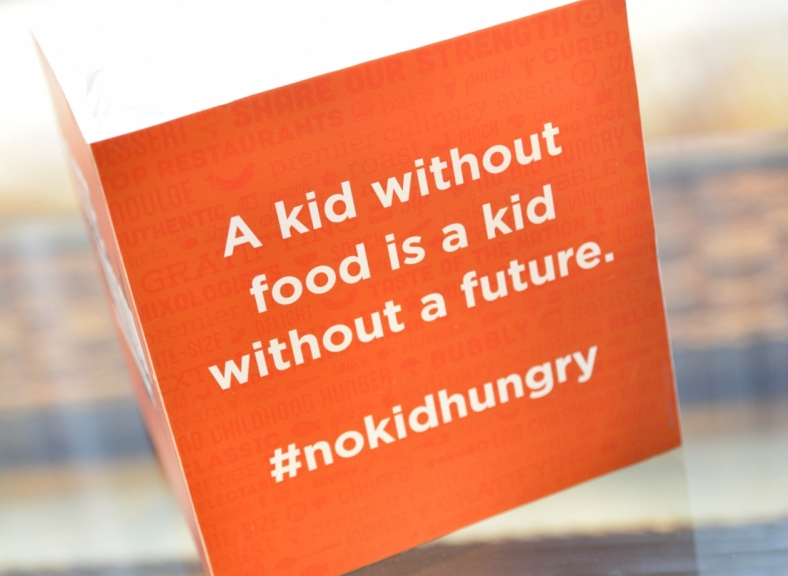 During September, you can help feed others with the Dine Out for No Kid Hungry campaign which is collecting donations from more than 15,000 nationwide restaurants. Or, involve the kids in leaving a gratuity, small gift or personalized “Thank You” for a hotel or restaurant worker you meet in your travels. The non-profit Pack for a Purpose has great tips on their website on what to bring and how to pack it, so that your host destination gets the most benefit from your charity. Dozens of not-for-profit organizations, beginning with your local church or kids’ school, help organize international travel with volunteer opportunities. We look forward to hearing your travel stories and ideas for fall vacations! Wherever you see ads or images within this special FamilyTravelConsulting.com travel section, the advertising and custom content has been brought to you by our sponsors. All other content and opinions are based upon the authors’ actual travel experience and knowledge.